The Marriage Series Sells to Pocket Books! I am so thrilled to report my sale of the marriage to a billionaire series to Pocket Books! Entangled will issue The Marriage Bargain in print everywhere on September 4th, and will slowly transition over to Pocket. The Marriage Trap and The Marriage Mistake – books 2 and 3 in the series – will be issued by Pocket and available in print and e-book in 2012. I have been overwhelmed by the level of support my readers have shown me, and happy to report The Marriage Bargain earned the honor of being one of the top sellers in books for the first half of 2012 on Amazon! It is still on the New York Times and USA Today bestseller list and going strong. I owe all of this to the great reviews and recommendations you have all provided so thank you! Film talks are continuing and I will update everyone as soon as the news is official. We’ve added a brand new Prologue and Epilogue to The Marriage Bargain! This is a special preview for newsletter subscribers only! The new issue was sent out this morning so if you want a sneak peek – sign up at my website! Effective September 4th, I will post it on my website for everyone to view. I’m also excited to say we have raised over $2000.00 to give to Pets Alive animal shelter! By buying a simple .99 short story, you have all helped make a huge difference. I will keep everyone updated on the donations and give a full report by the end of the year. I hope everyone has been enjoying their summer. Thanks again for everything you do and I’ll send out another update in September. Congrats, Jen. Wow, Wow, Wow! Your hard work and talent continue to pay off and I am so happy for you! And for me the reader too! HI Regina! Thanks so much for the congrats my bad mommy friend!! Hope things r going great with you! Jennifer I subscribed to the newsletter but can’t locate the new parts for the Marriage Bargain! Where can I find it! Where do I find the new prologue and epilogue for the Marriage Bargain? Just signed up for newsletter. Loved Heart of Steel! Will there be a book #2?? You never know!! Been getting so many comments on looking for a second so maybe that will be in the cards…will have to brainstorm a bit…but thank you SO much for letting me know you loved the book!! I signed up for the newsletter some time ago and just again today. I’ve not received it though. Looking forward to the prologue and epilogue! Can I request the Prologue and Epilogue for Marriage Bargain! Wonderful Kate! I will send it over! HI Sharon! I’ll send it over to you now! By the way, let me know if you hear of any job openings in relation to the movie production lol. (Hey I am an unemployed gal with a degree and background in film combined with a massive devotion to your book so I gotta try right?)Thanks! Hi Jennifer I just subscribed to the newsletter but can’t locate the new parts for the Marriage Bargain. I loved this book can’t wait until the next ones come out. Hi! Great book!! Would love more Nick and Alexa someday but maybe the epilogue will satisfy! Haha I subscribed to the blog and newsletter and haven’t received the prologue/epilogue! I’m dying to read it!! Please help! :). Thanks! 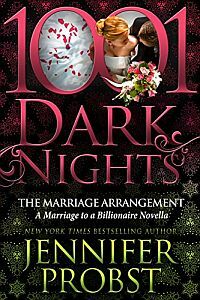 hi…love the marriage bargain but cant find the prologue and epilogues. can you send it to me too?? thanks! Oh….and BTW……THANK YOU!!!! I LOVED THIS BOOK! Could I request copy of epilogue and prologue too? Can’t wait for second book! I’ve been bored all summer waiting for it! Yes, will send over this morning! I also haven’t received the Prologue and Epilogue, may i please have it? You’re a very talented writer and you’ve given a lot of us readers very satisfied reading experience. Thank you for that! And congrats on all the big news too!!! HI Jill! I will make sure I send it to you this morning – so happy you loved the book!! And thank you so much for your lovely comments – made my day. I would love to read Hearts of Steel however when I tried to order it for my nook through Barnes & Noble, I received a message saying it was unable to be found! Any help you an provide would be great, as I am looking for something to hold me over until I can get The Marriage Trap! HI Heather! I’m so sorry about that! The publisher needed to upload my new cover and some new edits, so it came down for 24 hours. If you try later today, it should be back up with no problems. Thanks so much for being such a faithful reader and I hope you enjoy the book! I just finished Heart of Steel and absolutely loved it. However, I am kind of sad that you made revisions that I probably won’t ever see. 🙁 One question, is this going to be a series or is this just the one book? HI Heather! Actually, Heart of Steel was meant to be one book but several people have been requesting a series so you never know! The book you read actually was the one with the revisions! I made the rewrites and we issued it in print and updated the ebook so you got the most up to date work – so happy you enjoyed it thanks so much! I subscribed to the newsletter a while ago, but can’t locate the new prologue and epilogue parts for the Marriage Bargain. :o( I can’t hardly wait for the second book….it’s like hanging on the edge of a cliff. Can you please send me the Prologue and Epilogue ……Patiently waiting. HI Kristie! I sent it to you so you should have it now! Thanks! I received the email and would love to read the prologue and the epilogue. I loved the book and am currently rereading it again. Thanks! Do we really have to wait til Oct 2nd for The Marriage Trap? Or is Oct 2nd when it’s going to be published in print? I don’t wanna wait that long….LOVE THIS BOOK!!!!! I love your books and can’t wait for the next release. I haven’t received the epilogue or prologue for the Marrriage Bargin. Can you help please!!! Thank you so much Sonya, thrilled you loved the book! Sending to you right now! I bought the marriage bargain ebook awhile ago and I was how do I access the new prologue and epilogue for the book with out subscribing for the newsletter. Hi! I enjoyed the marriage bargain and signed up for the newsletter, can you please send the prologue and epilogue ? Thank you!!! Thanks so much Jen! I’m sending to you now! I loved The Marriage Bargain & can’t wait for the next two books. I recommend it to all of my friends. Is it too late to get a copy of the Prologue & Epilouge? Thanks! I loved The Marriage Bargain & can’t wait for the other two books. I recommend it to all of my friends. Is it too late to get a copy of the prologue and epilogue of the book? Thanks! Thanks so much Dana! Thrilled you loved the book – sending it to you now! Hi! Loved The Marriage Bargain. I looked all over your website, but don’t see the epilogue or prologue yet. Could you please email it over? Thank you! HI Katie! Sending right now in case you didn’t receive it! Thanks so much! I loved the book. I can’t wait for the next two. I can’t find the epilogue. Can you please email it to me? I’m not sure if I missed it since I just recently signed up for your newsletter. Thanks!! HI Ashley! I’m sending again just in case you didn’t get it – thanks! Of course not! Sending now! I also signed up for your newsletter and would love the prologue and epilogue for The Marriage Bargain! Thanks so much! HI Kristine! Sending to you now! I loved The Marriage Bargain! Great job! So excited for the rest! I signed up for your newsletter. Can you send me the prologue and epilogue! Thanks! Bought The Marriage Bargain a couple months ago and just loved it!! I signed up for your newsletter to get the epilogue and prologue and haven’t gotten anything yet. Would you mind sending it to me??? Thanks so much and looking forward to The Marriage Trap!!! Hi! I absolutely LOVED The Marriage Bargain. I just signed up for the newsletter. Is it too late to get the prologue and epilogue? Loved the Marriage Bargain and can’t wait to read books 2 & 3!! I have signed up for the your newsletter, can you send me the Prologue and Epilogue. Thank you so much!! Hi, Jen! I signed up for the newsletter but I haven’t receive the prologue and the epilogue of Marriage Bargain yet, would you please sent me a copy? I loved Marriage Bargain and I’m excited to read Marriage Trap. Thanks so much! I just read The Marriage Bargain and LOVED it!!! I could not put it down…read it in 2 1/2 days. Can’t wait to read the others!!! HI Nicole! You made my day! Am so so happy you enjoyed Bargain and can’t wait to hear what you think of Trap! Thanks for taking the time to let me know! HI Lauren! I’m so thrilled you loved Bargain! You can read the deleted scenes AND the prologue/epilogue right at my website. Go the marriage bargain book page and click on extras at the top. Enjoy!! I LOVED THE MARRIAGE BARGAIN & MARRIAGE TRAP!!!! COUNTING DOWN THE DAYS FOR The Marriage Mistake!!! I couldn’t put either down…..and I’m looking forward to picking up the 3rd! Thanks for releasing such a wonderful SERIES!!! 🙂 Is the rumor true…..is there a 4th in the making??? ?